Grand Theft Auto V is a technical marvel on old hardware, but shines especially bright on current-gen consoles. The frame rate is noticeable better, textures are sharper and the world generally feels more alive. There are hiccups here and there, and Rockstar are constantly working on patches to rectify these technical issues. Too bad these optimisations are sacrificing some of the overall sheen the game has. Picked up by some eagle-eyed fans, it seems that the latest 1.08 patch to the current-gen versions of GTA V downgrades certain visual elements in the pursuit of a more stable experience. While the frame rate is still miles ahead of last-gen’s version, GTA V still dips terribly in some situations, which is probably why Rockstar is turning it down a notch. You can check out most of them in the comparison video below. Is it justified though? I think that’s really up to personal preference. When it comes to games, I take a stable, near locked frame rate over bells and whistles any day, but I know many other people who wouldn’t mind a dip here and there for a prettier package. It’s the sad reality of console gaming though. When it comes to decisions like this, it’s solely up to the developer – and you really have no say in the matter. It does make me wish there was a light customisation option to console gaming though. 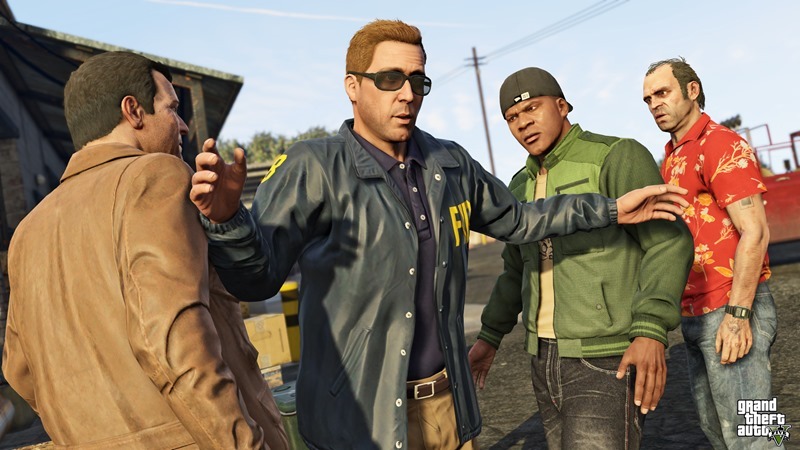 Taking this particular instance as an example, GTA V could feature a single setting that toggles between high performance and high quality – with the framerate ultimately being affected in both. It gives small choice to players as to how they want to play their games, and I wish it were implemented more. Until then, you’re stuck with what Rockstar gives you. And right now that’s a slightly worse looking GTA V.
Previous article IP MAN 3 to feature Mike Tyson and a CGI Bruce Lee! Next article Is this the start of a Mass Effect 4 trailer?